Supply, installation and repair specialist, CP Automation is undergoing radical changes to the structure of its business, to manage the rapid growth in its international markets. To enable business growth across EMEA and America, John Mitchell has been promoted to global sales & marketing director. 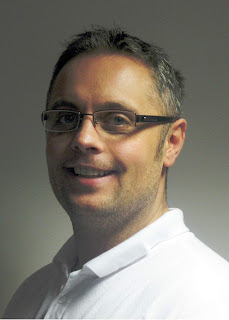 Mitchell joined CP Automation in 2011 as global business development manager. He was tasked with developing CP Automation’s product portfolio and breaking into new market territories. His role at CP Automation has enabled the company to install downtime reducing solutions all over the world. The new director-level role adds a new depth to Mitchell’s work, who will now be responsible for managing CP Automation’s growing international market. “This promotion has been entirely organic,” said Tony Young, director of CP Automation. “It is not only a way of showing gratitude for John’s success over the last seven years, but meets a crucial business need for CP Automation, as we build on new product portfolios and territories. In the last few years, Mitchell has been involved in various international projects for CP Automation. This includes the installation of 14 sine filters for a Namibian water project, UPS and harmonic filters for power stations and even high-power motors for earthquake simulation machines. To further facilitate growth at CP Automation, the company has recently begun recruiting for five new positions. These vacancies are for sales engineers to drive the uptake of CP Automation’s power transmission, power quality and repair services. CP Automation’s portfolio includes active and passive harmonic filters, brake choppers, rectifiers, regen units, DC to DC converters, EMC filters, line and motor chokes, sine filters, AC and DC motors, and surge protection devices to its offering. The company is also developing its material handling and crane portfolio. For more information on CP Automation’s services, partnerships or vacancies, e-mail sales@cpaltd.net.